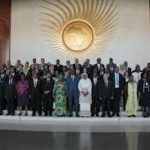 African nations must renew their commitment and strengthen instruments to attain a malaria-free Africa by 2030, leaders were told on Friday at a high-level briefing held on the margins of the 30th African Union Summit in Addis Ababa. Senior health, finance and foreign affairs officials from across the continent were briefed on the latest findings from the World Health Organization (WHO)’s World Malaria Report 2017 signaling that, for the first time in more than a decade, progress against malaria on the African continent, which accounts for almost 90 per cent of the global malaria burden, has stalled. “Malaria alone is estimated to rob the continent of US$12 billion per year in lost productivity, investment and associated health care costs. 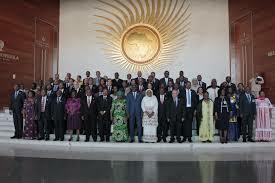 “It is therefore critical that we sustain the political commitment, as articulated in our continental Agenda 2063, to eliminate malaria in Africa by 2030 through increased domestic financing, increased access to life-saving malaria interventions, as well as more robust health systems,” Mr Moussa Faki Mahamat, the Chairperson of the African Union Commission said. WHO used the occasion to launch a World Malaria Report 2017 mobile app that provides, at the swipe of a finger, the latest information on malaria policies, financing, interventions and burden in 91 endemic countries. “African countries are at greatest risk of losing the significant gains made over a decade and must renew efforts to make fighting malaria a priority. Domestic funding needs to be urgently stepped up. These investments — only a fraction of what African nations will save if we succeed in eliminating malaria — will pay off, in millions more lives saved, health systems strengthened, economies grown and the world back on track to end this disease,” said Dr Kesete Admasu, CEO of the RBM Partnership to End Malaria. Participants also heard that high-burden countries such as Nigeria and the Democratic Republic of the Congo (DRC), which account for 27% and 10% of the global malaria cases, respectively, also face significant gaps in financing their malaria efforts over the next three years. Nigeria faces a financial gap of US$ 1.4 billion, equivalent to 68% of the country’s needs, whereas DRC requires an additional US$ 536 million to fully implement its national malaria strategic plan. Alternatively, several African countries that have stepped up their efforts, such as Senegal and Madagascar, have achieved a greater than 20% decrease in malaria cases in 2016, according to the World Malaria Report 2017.